IIM Kashipur is one of the reputed Management Institutes in India. This institute which started operation in 2011 is now ready for its 8th batch. IIM Kashipur has academic rigor imparted by its mentor IIM Lucknow, called as IIM Hell, and students are suppose to have at least 80% attendance. The rigor tests not only how smartly one can work but time management skills as well. The pressure from day one allows students to get accustomed to corporate milieu. At times students find it difficult to cope but guidance from seniors and faculty makes impossible deadlines possible and students gauge the change in themselves after two years. The students have utilized the institute’s location which is the industrial belt in Uttrakhand and hosts around 180 industries. The incessant effort by authorities and student’s enthusiasm for learning has provided them the opportunities to witness some of the biggest manufacturing plants in India. There are multitude of clubs and committees involved to bring B-school and corporate competitions along with knowledge sharing sessions. A Brand new campus spread over 200 acres has functional academic block equipped with modern teaching tools and students can retire to their single occupancy rooms equipped by Refrigerators, washing machines, microwave and a common area to explore and enjoy with friends. Students also get chance to explore the west and east as IIM Kashipur has tie-ups with Ecole De Management de Normandie (EM Normandie), Caen, Le Havre, Deauville, France, AIT Bangkok and FPT School of Business Vietnam for the student exchange program. As a part of this exchange program students gets opportunities to travel, and experience the culture for a trimester and in turn students from these universities come to IIM Kashipur. The soul of IIM Kashipur has “Giving back to Society”. 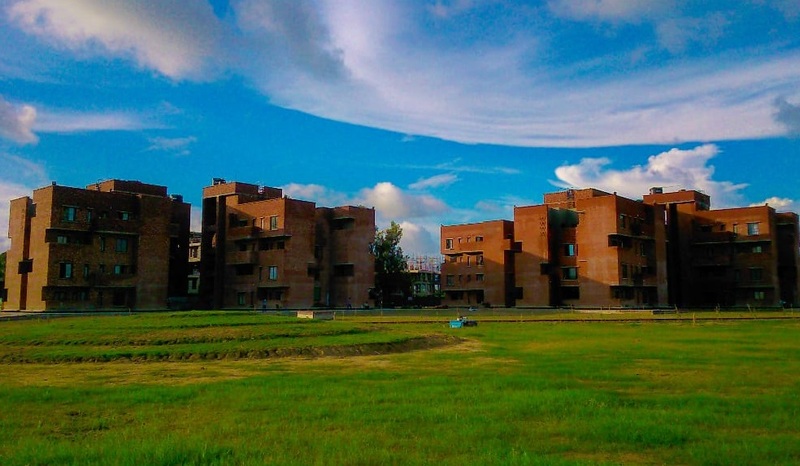 One of the motives to setup new IIMs was to alleviate the local milieu, and IIM Kashipur through its student-run club “Parivartan” tries to make difference. Every year students walk the streets of Kashipur to make local people aware of prevailing social issues like Female Foeticide, child Labor , Education for all etc. “Nukad-nataks” , Posters are used to aid such campaigns. Games and Fun activities are organized for supporting staffs of Kashipur to induce sense of affinity. Agnitraya is the annual cultural sports management three-day festival which attracts participants from all across the country. The inauguration ceremony of Agnitraya 4.0 was graced by Mr. Amit Verma, IFS and Director of Jim Corbett National Park, as the chief guest and Mr. Ashish Gupta, MD of Ashish Builders and Developers as the Guest of Honour on 3rd November 2017.The next big event of IIM Kashipur, TedX IIM Kashipur was scheduled in January 2018. With all the events throughout the year, IIM Kashipur successfully completed its placement with 55% increase in the number of offers and 45% increase in number of recruiters. The institute has recorded highest international package of Rs.52.94 lakhs and domestic package of Rs.20.84 lakhs with an average salary of Rs. 12.19 lakhs in Placement 2018. Life at IIM Kashipur is amazing, full of challenges and rigor. I would like to work with Pantaloon Retail (India) as it offers its employees chance to learn which also aids development of company. It dares to dream out of the box to make a difference in the life of consumers. The company which started as Garment manufacturer now has expanded to retail sector where its methodologies are considered as benchmark. I believe Indianness, Leadership, Adaptability, Respect and humility are key core value that drive success of Pantaloons. For me Pantaloons is an opportunity where there are no boundaries of what you can achieve.